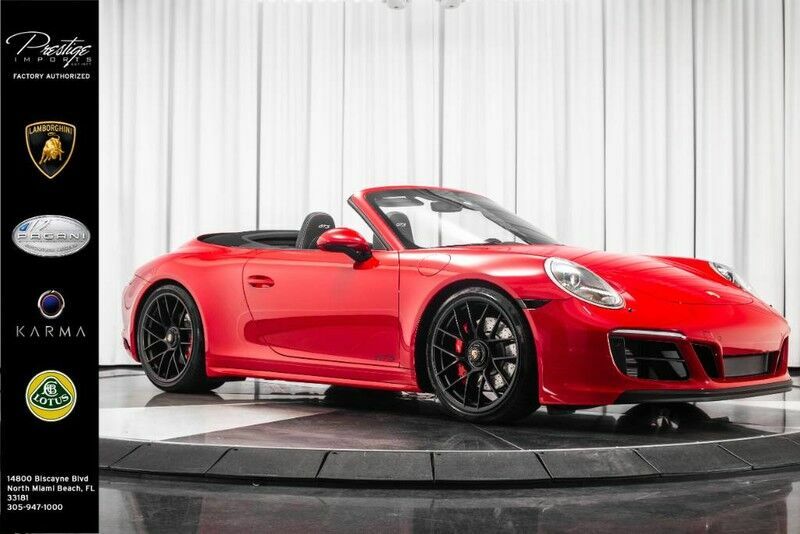 This outstanding example of a 2018 Porsche 911 is offered by Prestige Imports. In just a matter of seconds, this Porsche 911 turns into a convertible for extra fun on a beautiful sunny day. Put performance, safety, beauty, sophistication and all the right amenities into a car, and here it is! Now you can own luxury without the luxury price tag! Some vehicles are more of a need-to-have. This one is a absolutely-must-have. If it's looks aren't enough to persuade you, the feel of the powerhouse under the hood most definitely will. There is no evidence of prior damage or paintwork on this Porsche 911 . Upgraded wheel package makes this Porsche 911 stand out from the rest.